One of the absolute worst companies in the entire world is Total SA. Back when the US first imposed sanctions on Iran and Libya barring US oil companies from giving corporate life support to the regime in Iran, Total established a business strategy to pursue business in those terrorist, rogue nations so they wouldn’t have to compete with US oil companies. We are not sure what his definition of “civil” is, but we would ask Monsieur de Margerie if it would have been a mistake to “mix” things that were “political and civil” back in 1938 or 1939, a year or two before Hitler’s stormtroopers marched triumphantly into downtown Paris to accept the surrender of France? After all, Germany’s largest trading partner at the time was none other than France. First of all, there is no “free enterprise” system running in Iran. Iran has a centralized economy and the regime, especially the Revolutionary Guard Corps, has their mitts on everything in one way or another. You can’t do business in/with Iran without benefiting the regime in some way. For instance, all the banks in Iran are state-owned and operated, which is why they’re all under sanctions in the first place. 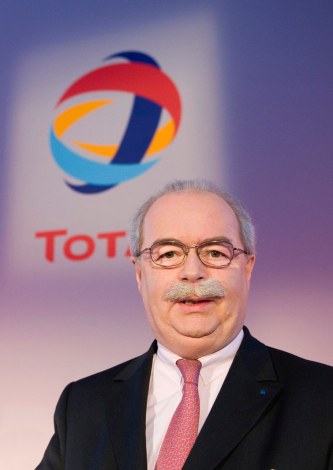 When Total’s CEO says that sanctions only hurt “ordinary” people, he’s either ignorant or else he’s lying. In essence, when de Margerie speaks against sanctions against Iran, he is serving the interests of the Ayatollahs who run the brutal regime in Tehran, he’s not looking out for the interests of “ordinary” Iranians. I promise you, Christophe de Margerie couldn’t care less about ordinary Iranians and by doing billions of dollars of business with their rulers, he has prolonged their misery. • Iran is the world’s most active state sponsor of Jihadist terrorism. To our knowledge, Iran is one of two nations, the other being Syria, that is involved with HAMAS, Hezbollah and Al Qaeda at the same time. • Iran played a large role in training, arming and funding the insurgents in Iraq and are now doing the same for the Taliban in Afghanistan. These activities have led directly to the deaths of numerous American GIs, as well as the deaths of Allied servicemen as well. 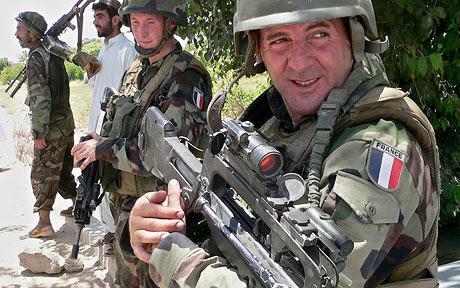 France has soldiers and airmen serving in Afghanistan, fighting against the Taliban. The Taliban are armed and supported by Iran. 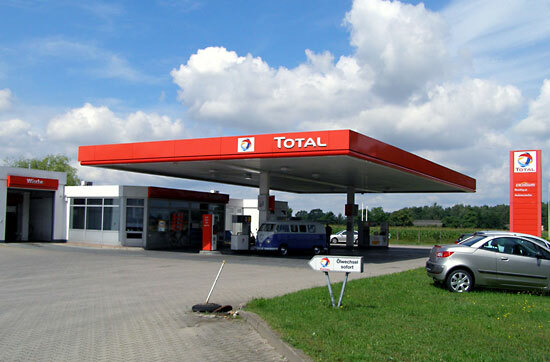 Total, France’s largest oil company, is cozy with the rulers of Iran. 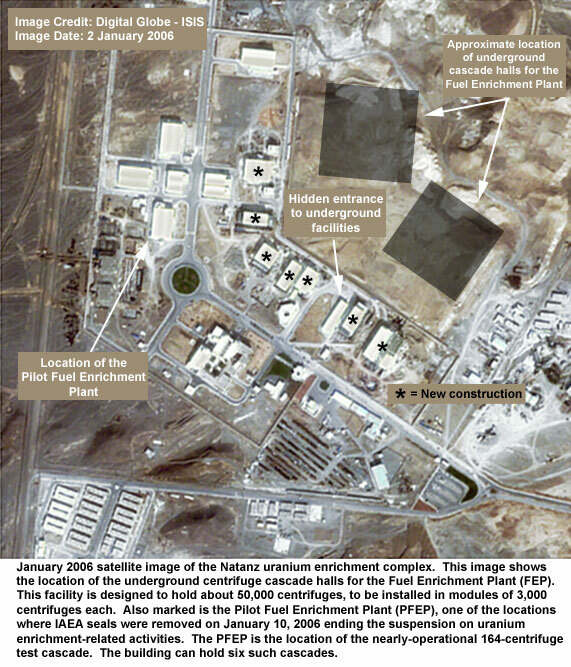 • Iran is working on nuclear weapons. No rational, unbiased observer believes that Iran’s nuclear program is a peaceful energy program. Iran is awash in oil and sitting on huge amounts of natural gas. Moreover, as long ago as 1994, the US State Department was saying publicly that Iran’s nuclear program bore no resemblance to a peaceful energy program, but had all the hallmarks of a weapons program. Nothing has happened to change that assessment. In fact, Iran continues to enrich uranium to levels suitable for weaponry, in defiance of UN Security Council resolutions. If there is one country in the world that you don’t want to have nuclear weapons, it’s Iran. • Iran has a robust domestic ballistic missile program. Iran continues to develop ballistic missiles with intercontinental reach. This makes their other weapons programs all the more worrisome. Training and supplying terrorists costs money. Building ballistic missiles costs money. Western companies like Total that do business with the Ayatollahs enable the Iranians to earn money to develop the means with which to kill us. Despite what Christophe de Margerie says, it doesn’t have anything to do with “politics.” It’s much more important than that. Congress has approved new U.S. sanctions against Iran with legislation that reserves for President Obama the right to waive the sanctions on a case-by-case basis. The sanctions, passed by the House and Senate on June 24, were meant to target Iran’s banking and energy sectors. 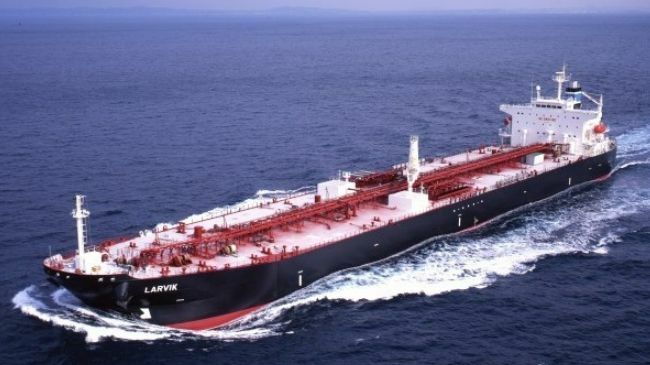 Under the legislation, passed about two weeks after sanctions by the United Nations Security Council, foreign companies with links to Iranian energy projects and banks would also be banned from doing business in the United States. At one point, the White House pressed the Democratic leadership in Congress to grant Obama the power to grant blanket exemptions from sanctions. Instead, the bill would allow the president to waive sanctions on companies on a case-by-case basis for no more than a year.